Mother Mentor’s mission is to nurture mothers and other caregivers of young children by providing practical and emotional support. Becoming a parent is one of the most joyous events in life. We love our children and recognize that every family with young children could use a helping hand and added support. The work of raising children in today’s culture can be challenging. Rising stress, lack of sleep, or decreased access to extended family can leave parents feeling isolated, inadequate, or depressed. The struggle to cope may contribute to more serious issues within the family and throughout the community. The addition of a supportive and experienced friend can make all the difference. Mother Mentors exists to help parents and caregivers feel connected and confident about parenting and to dispel the myth of the perfect parent. 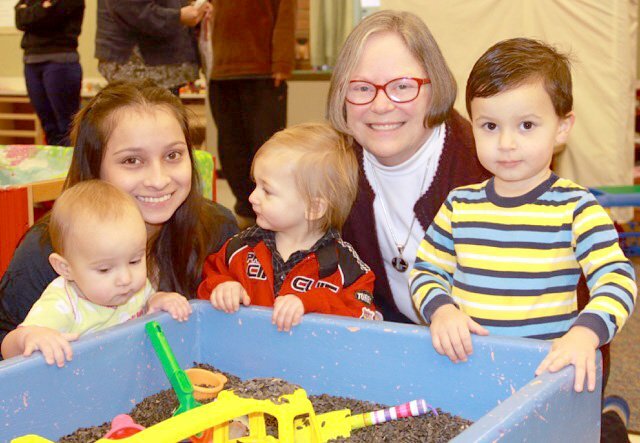 Through in-home mentoring service and Playscape play and learn programs, Mother Mentors re-creates the warmth and support of an extended family by matching caregivers with trained community volunteers, to lend a helping hand. Mother Mentors is focused on reducing stress and strengthening families. By building relationships and creating community, we create a network of support for Whidbey Island families with young children.